Session Share: A Mix of Old and New! 02 Jul Session Share: A Mix of Old and New! Our first attempt at this senior session we got rained out, so we were thrilled when the second attempt ended with loads of gorgeous sunshine. This senior wanted to incorporate a mix of old and new. We started the session with an old type writer followed by her vintage bike to give things a timeless soft feel. Towards the end of the session we dropped the props and got out the red lipstick for a modern twist. I love sessions where I feel like we captured all aspects of my subjects personality. My goal in every session is to capture my subjects true personality, who they are in the inside. In this shoot I think we did just that and in my book, thats a true success. 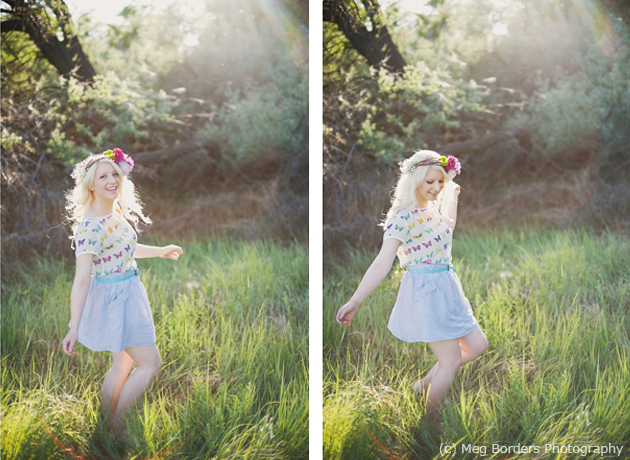 Meg is an amazing photographer! These images are incredible! Love the bicycles shots! !